Want to know how to dress up a plain glass cylinder vase? Simply buy some decorative paper from your local craft store or download and print a vintage wallpaper image from the web. Then cut to size and slide it inside the vase. Your done! Obviously this only works when you are arranging dried flowers. No water needed for this beauty! 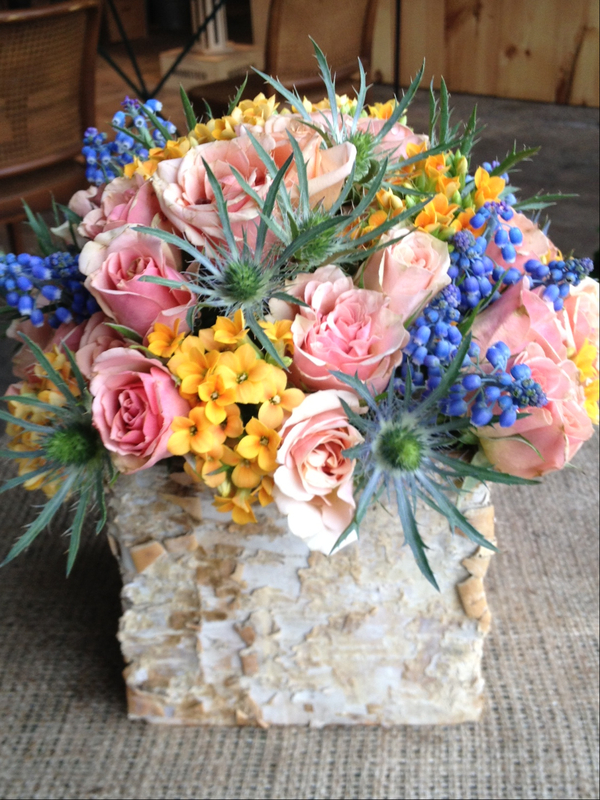 This arrangement features craspedia, brunia, thistle, hypericum berry and scabiosa. This is going to be a quickie post but I wanted to share my latest creation. Today I whipped together two giant arrangements like the photo above using only free floral bounty I could collect locally — no store-bought flowers here! And no, I didn’t break any laws. In a galvanized bucket, I arranged hydrangea, anemone, red wheat-head celosia and crab apple. 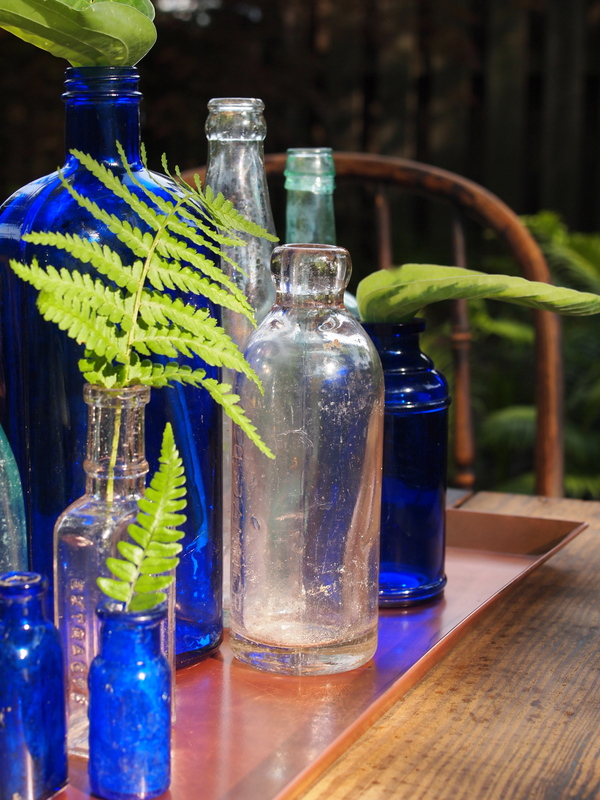 If you’re in need of a fast, simple and classy centerpiece for your table, try using vintage bottles. 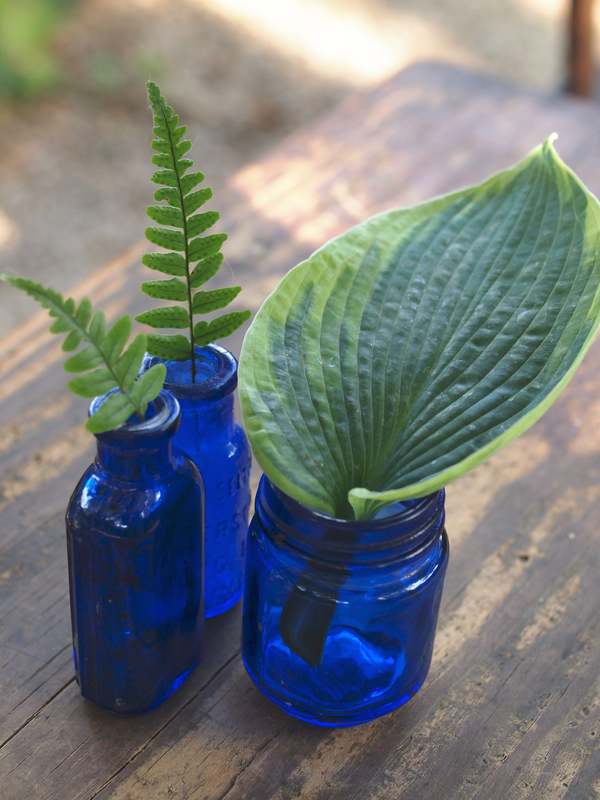 My cobalt blue bottles look perfect with some ferns and hosta leaves from my garden. You can group all colors and sizes together on a tray or keep it simple by creating a small grouping. Either way, you can’t go wrong and it’s sure to impress. Creating unique floral arrangements doesn’t necessarily mean a trip to your florist or grocery store. It may simply mean you take a little walk to your garden or farmers market to collect the makings of a stunning centerpiece. 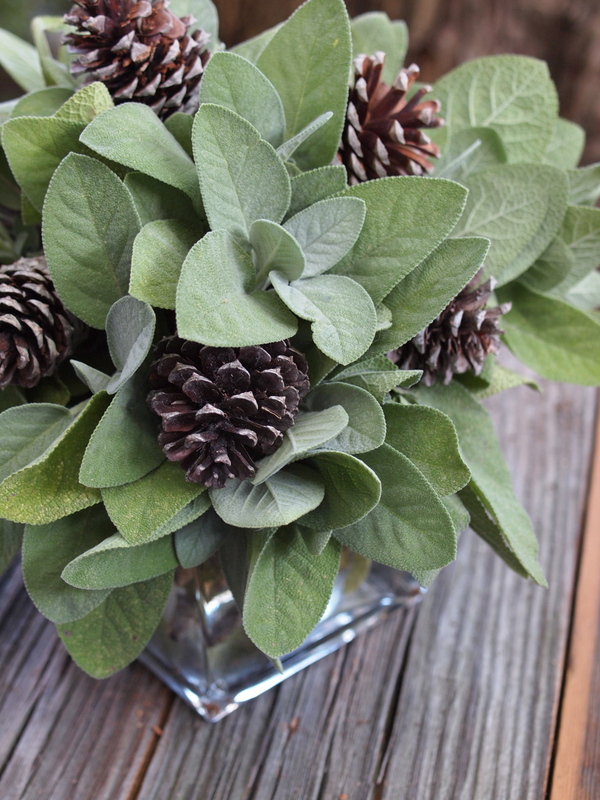 This sage and pine cone arrangement is perfect in its simplicity and would be amazing on any table whether it be summertime or winter.